Ceramiche Sonda, the company video, the workmanship of applied ceramic flowers, year 2012. 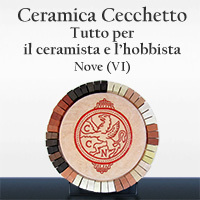 Old mill grinding stones of Nove (Vicenza Italy) video interview with the Doct. Nadir Stringa, Telechiara production for the TV program "Viaggiando Viaggiando" 28 July 2012 (Italian language).